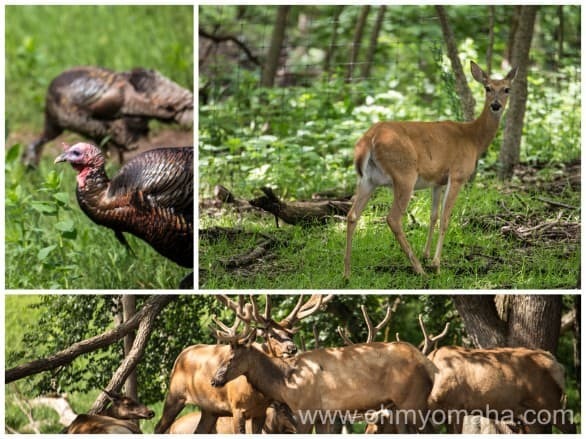 Think Nebraska’s wildlife is boring? 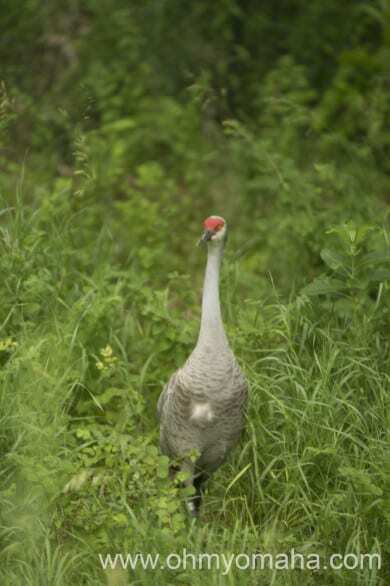 The Nebraska wildlife safari is home to two dozen Sandhilll Cranes. 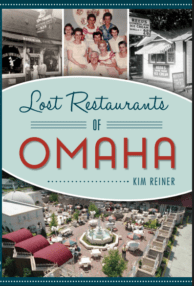 You’ll find them, swans and ducks in the area of the park the mimics the Platte River region. 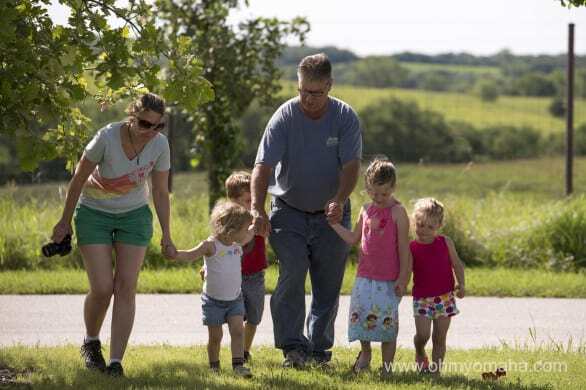 We recently visited Simmons Wildlife Safari in Ashland, Neb., (about 20 minutes west of Omaha). It was my dad’s first trip to the attraction, so we were excited for him to enjoy it with the kids. Grab that map they hand at the admission gate. Not because you’ll get lost – the kids love it. He never stops to ask for directions. You’ll be driving at a maximum speed of 7 mph, so hang on, partner! You want to go slower, really, to catch all the wildlife. You’ll notice each area is separated by gates akin to the ones you remember from “Jurassic Park.” Scare the kids and put a water glass on your dashboard and recreate the T-Rex scene. You’ll see deer, elk and an assortment of birds at the start. It’s pretty tranquil. Then you’ll drive around some wetlands, featuring photogenic waterfowl. 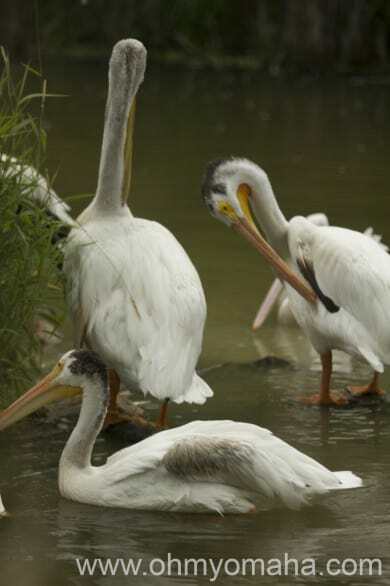 American White Pelicans hanging out in the 10-acre Wetlands. You can get out of your car at this point. A lot of people just drive on by, so expect minimal crowds. Your next stop is shortly after that. 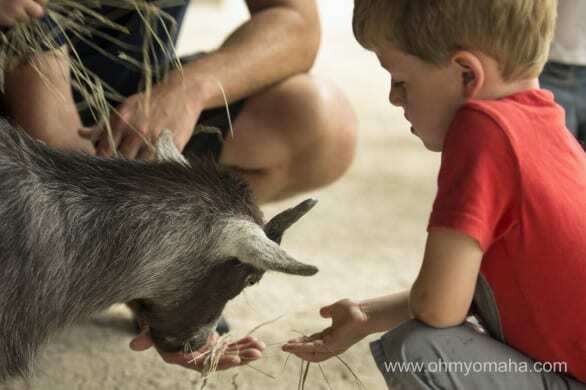 Definitely get out, because there’s the Hands-On Corral (AKA petting zoo) your kids will like. There are plenty of goats hoping to be fed and brushed at the Nebraska Wildlife Safari. Near there is a little play area with picnic tables, as well as an old Rosenblatte tower you can climb for a nice view. 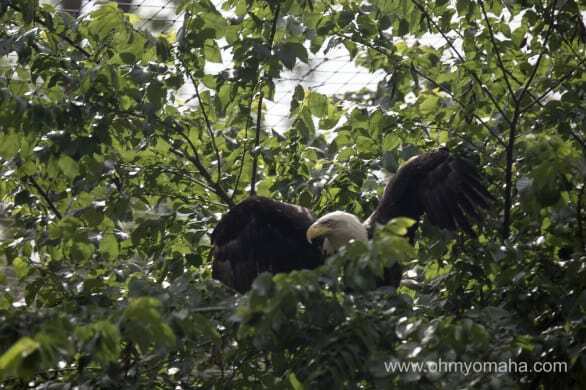 A bald eagle at the Nebraska Wildlife Safari. 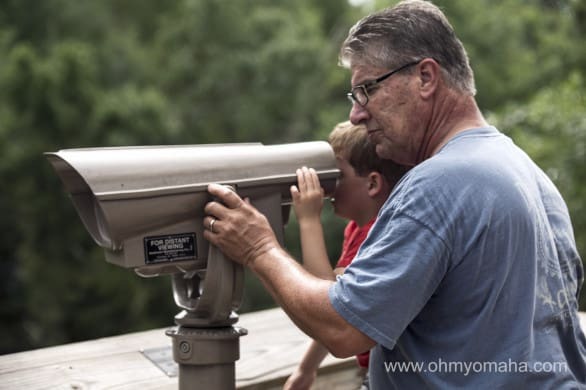 Venture over to the bald eagles and then double back to walk an inclined trail to see owls, bears, wolves and further afield, toads. This is either Cinnabon or Licorice, two sister bears at the Nebraska WIldlife Safari. We accidentally timed our visit to coincide with feeding time and the 1:30 p.m. enrichment talk. It was a fortunate accident! I think Mr. Wonderful and I were more enthralled by the feedings than the kids, but whatever. 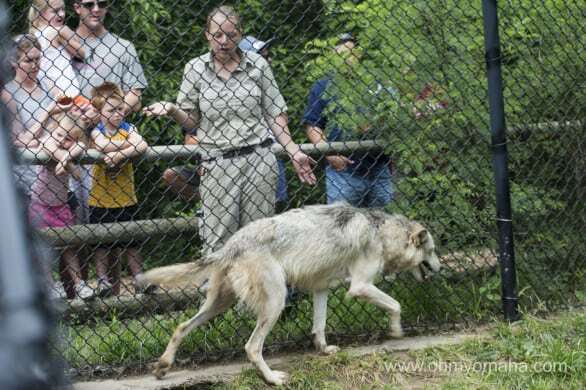 One of the keepers explains the wolves’ feeding schedule and preferred foods. 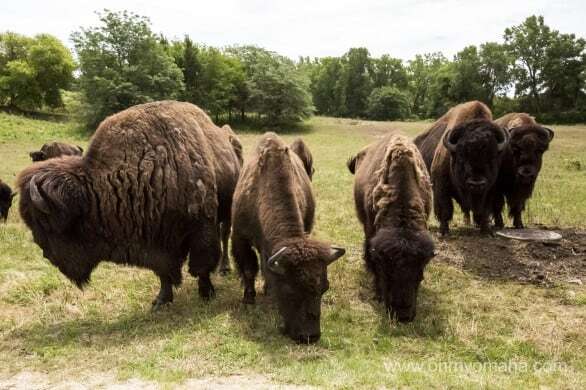 Back in the car, you’ll get to drive past some pretty birds on your way to the big attraction: American bison. We asked them to pose. These free-roaming creatures get near your car, making for some impressive photos. 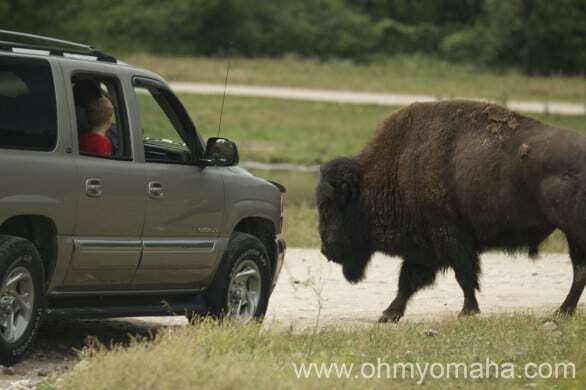 Reason #1 you want to keep your speed in check at the Wildlife Safari in Nebraska. Be sure to stop back at the visitor center. There are more animals to see inside and outside, as well as a small playground and a group of sculptures kids seem to like climbing on. There are a couple picnic tables near the petting zoo that aren’t very shaded. More tables are located near the visitor center. If you didn’t bring food, you can purchase snack bar items, ice cream and other goodies at the visitor center. It pays to time your visit! Feeding time is prime animal viewing time. On Saturdays and Sundays it’s at 1:30 p.m., and includes interesting talks with the keepers. 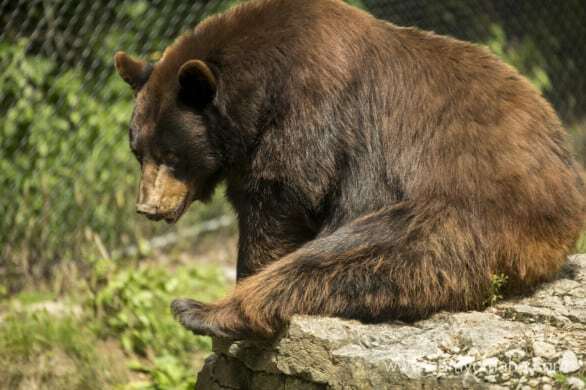 While were were there, the keeper said the 3 p.m. feeding time is the best since that’s when she gives the bears and wolves the most food. I can’t find that time listed anywhere online, so I can’t confirm that it is the exact time to catch a second feeding. It’s really the best chance to see these beautiful creatures up close. In past visits, the wolves and bears have been far from the fences. Where: Take Exit 426 off Interstate 80, 16406 N. 292 St., Ashland, Neb. Hours: Open daily from 9 a.m. to 5 p.m. through October. They creep and crawl, dangle and fly…come discover what else bugs can do on Saturday, Aug. 9, from 11 a.m. to 3 p.m. Fly over to Wolf Canyon to check out bug displays, learn about their important role in nature and participate in buggy crafts. Before leaving the area, be sure to explore the area and see what type of creepy crawlies you can find on your own. 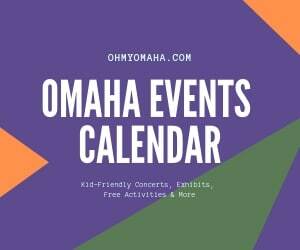 Event activities are free to Wildlife Safari Park members or with paid Park admission. Become an animal detective for a day. 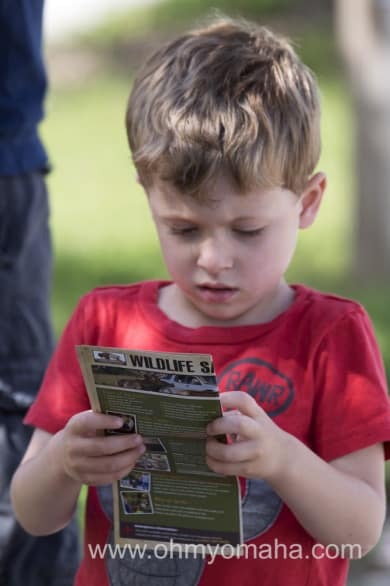 Learn to identify animals by their sounds, tracks and evidence they leave behind at Wildlife Safari Park during the Sounds of Fall event on Saturday, Sept. 6, from 11 a.m. to 3 p.m. Enjoy touching and feeling animal artifacts, participating in crafts and enjoying other special activities at Wolf Canyon. Event activities are free to Wildlife Safari Park members or with paid Park admission. Go on a haunted hike, take a spooky ride, enjoy a hot dog supper, roast marshmallows and play ghostly games for candies in the great outdoors from 6 to 9 p.m. at Wildlife Safari Park on Friday, Oct. 10, and Saturday, Oct. 11. Event does not include general Park admission during the operating hours of 9 a.m. to 5 p.m. 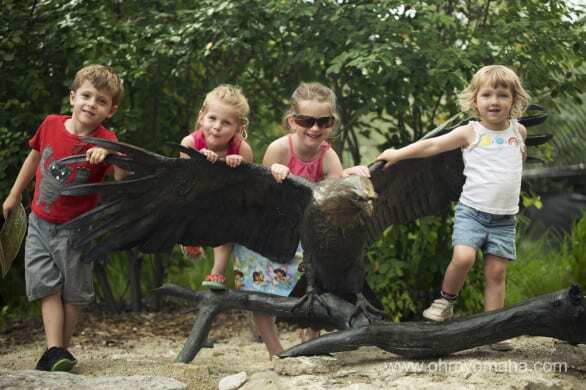 The Wildlife Safari Park offers family classes throughout the summer. Check their website for updates. I can’t believe I haven’t taken the kids here yet…thanks for the reminder! It’s one that stays off the radar but once you visit, the kids will want to come back. I loved visiting there when I went last. You got some great photos. Sometimes the animals like to hide; while other times they are out and about. Thanks, Callie! I love that you found this page, and like the photos. You’ve got such a fun job!